a legacy of leaders since 1981. 2020 CLRI Applications are Live! The College Leadership Rhode Island (CLRI) Program inspires, educates, and engages a diverse group of emerging young adult leaders as they transition from college to career. A multi-year initiative to help Rhode Islanders discover, develop, and leverage their individual and collective strengths. 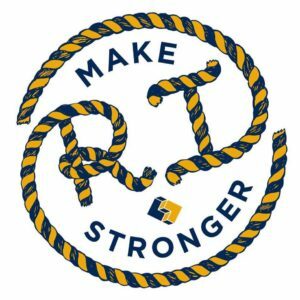 LRI develops more effective leadership by showcasing Rhode Island's strengths, examining its problems, convening community and statewide events, and inspiring everyone to engage in solutions. Each year, LRI selects diverse classes of emerging and established Rhode Island leaders to participate in thought-provoking programs that encourage community engagement and inspire action. Enhancing our community through gatherings, forums, surveys, and good governance. Our impact is as broad and varied as our alumni. Hear how LRI has helped careers and communities. "The most outstanding combination of networking and education available in the state today." "My Leadership Rhode Island journey made me better and inspired my continuing commitment to making everything around me better." "You'll never be the same after you've been through this experience." "I am amazed and impressed with the enormous positive impact LRI has had on our state." "I was able to step outside my day-to-day comfort zone, engaging in thoughtful, action-oriented interactions with a diverse cast of characters." "It's a life-changer. There are few places left where you can quite freely discuss your ideas with so many others." "Apply if you wish to expand your thinking, want to be a part of an extraordinary group having a positive impact on Rhode Island, and are looking for adventure." "The intended consequence is very simple - sustainable relationships are built that have a positive impact on our state." "Participation in LRI was a gift that continues to pay dividends 25 years after graduation." "I have watched LRI cross lines and broaden and expand its definition of leadership while becoming much more visible in the social and cultural landscape." "It was the most gratifying and 'out of the box' professional and personal 'Rhode Island-centric' development experience I have ever been a part of." "Seldom, if ever, will you be able to share ideas with such a diverse community of leaders, as you will in LRI." "It is a truly transformational experience." "It's incredibly informative, a truly unique experience. The people involved make this time so worth it." "What you experience during your session day and the leaders you will interact with can not be replicated." "LRI opened my eyes to the many facets of complex issues in our state, far beyond what reading papers and listening to news outlets did. " "LRI helped me to develop the ability to extract the individual capabilities of diverse leadership styles while engaging and empowering those in my community." "LRI isn't going to tell you how to do it, but it will connect you with people who will help you achieve it, because they want it, too." Jacob Brier (LRI '14), Co-Founder & Chairman, LIFEcycle Inc.
"One of the best things I've ever done!" "LRI affords a space for conflicting ideologies to meet and evolve, which is key to community progress in a time with so much partisanship and division." LRI creates and supports a legacy of leaders. Rhode Island went from 49th in the country in 2015 to first in 2016 in a measure of whether workers can use their strengths on the job, according to Gallup Chairman Jim Clifton. "Forty-ninth to first is insane," Clifton told The Providence Journal this week. "It's incredible." The latest class of Leadership Rhode Island, which graduated Wednesday, did projects in teams, and one of those teams paired at-risk youths of promise with business and civic leaders who shared their leadership qualities. Anne Szostak (LRI '85) and Cheryl Snead (LRI '00) discuss their involvement in Bryant University's Women's Summit in Providence Business News. Your donation helps provide tuition assistance to ensure our transformative core program is available to leaders from every community.